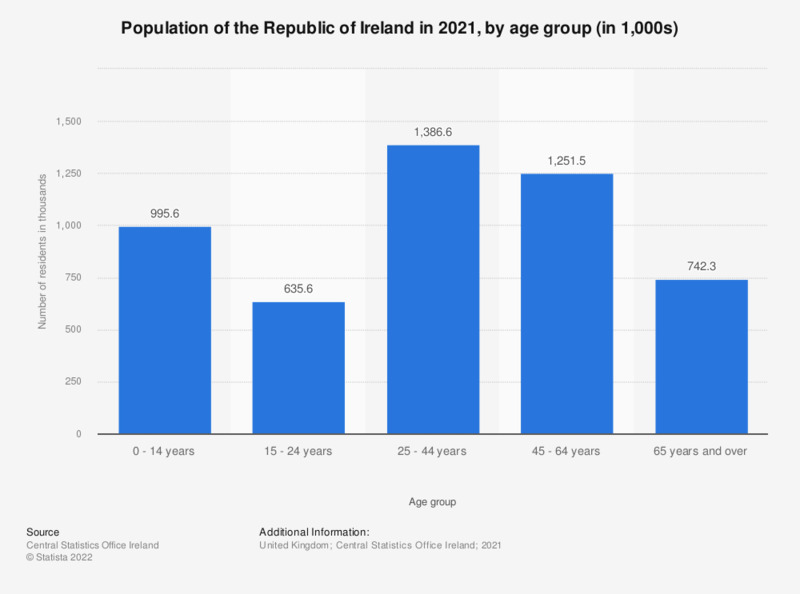 This statistic shows a breakdown of the population of the Republic of Ireland, by age group, from the most recent Irish census in 2016. The largest age group consisted of residents that were aged between 25 and 44 years of age, at just over 1.4 million. In contrast, the number of 15 to 24 year olds was 576 thousand (with a difference of approximately 830 thousand). This disparity therefore contributed to substantial increases in the median age of the population in Ireland over the course of recent decades. This collectively amounted to the total population of Ireland consisting of 4.69 million inhabitants in 2016.